The earliest conveyor belt system was noted to be used as early as 1804, by the British Navy. The conveyor belt was steam-powered and used by the British forces to ship long-lasting biscuits from the bakery. With over 100 years in between, in 1905, the inventor Richard Sutcliffe created the first conveyor systems to be used in coal mines, that certainly transformed the efficiency processes within the mining sector. Fast forward to 1913, where Henry Ford implemented continuous conveyor belt assembly lines to increase efficiency whilst making their ‘Model T’ Ford cars. This introduction helped Ford’s vision of large-scale manufacturing and industrial labour come to life. This powerful warehouse addition became so popular that a new term was coined “Fordism’, and was known around the world for the increased ease within the production sector. As we entered the 1970s, which is acknowledged to be the contemporary period for conveyor belt systems. This was the era when the first modular belt patent was filed and is now being used throughout modern manufacturing. This conveyor belt works when plastic modules and rods are fixed together to allow for their secure movement. Conveyor belt systems consist of a drive roller powered by a drive motor with a tension roller at the opposite end moving an endless loop of the conveyor belt which rotates around them. The belt is supported by a “skid” base or a roller base. The belt is returned on a series of return rollers. Construction; Conveyor belts can aid in carrying heavy raw materials, such as; cement, bricks and sand to a different part of a construction site. 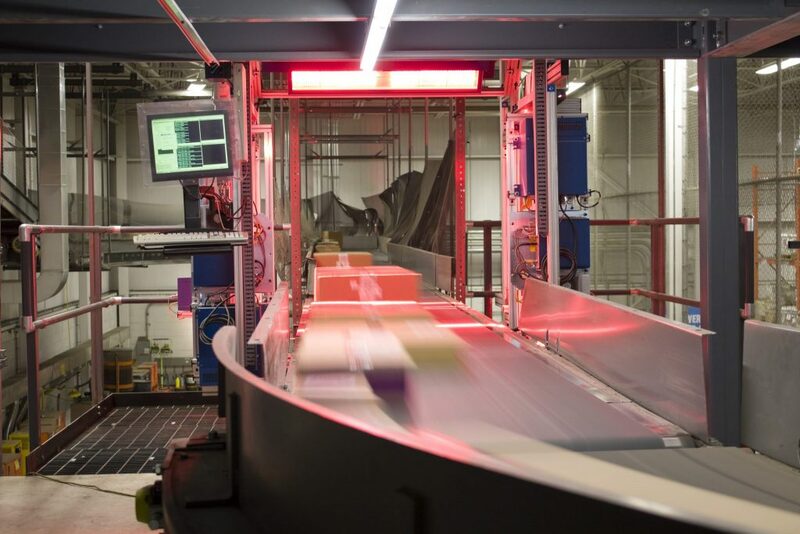 Warehouse packing; Conveyor belts speed up the product packaging process dramatically, especially when in a warehouse that is dealing with a large number of orders. Dependent on the conveyor belt, they are able to transport packages of different shapes, sizes and weights into the posting department to be shipped. Letter & parcel sorting; It’s no secret that letter and parcel sorting is considered a complex task to get right. This is why specially constructed belts are vital in the postal sector, in order to stay efficient and keep a reliable reputation throughout the postal feeding process. Airports; One of the fundamental aspects of an airport process is the checking in and baggage claim section. A baggage conveyor belt system offers a reliable and low energy consumption alternative to transporting the customers highly regarded goods, creating a trusting relationship. Pharmaceuticals; Within the pharmaceutical sector, a huge amount of precision is needed to aid in minimising cross-contamination between medical batches. This sectors conveyor system is needed to adequately sort and process the products in a sanitary and productive manner. What are the Benefits of Conveyor Belts? 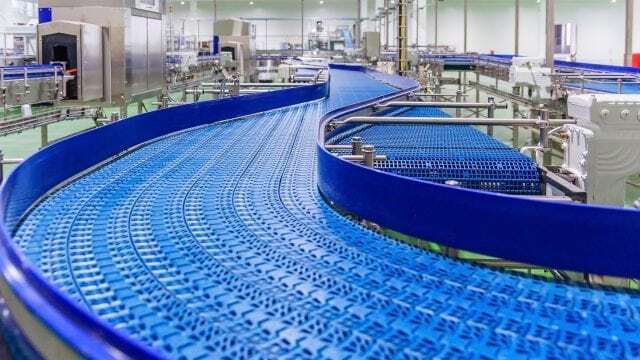 As stated, conveyor belts are integral throughout a wide variety of industries, therefore are able to offer multiple benefits. Over a vast period of time, the implementation of conveyor belts systems has increased as our needs for manufacturing continue to evolve. As a result, they have delivered manufacturers around the world with an incredibly more efficient process, allowing them to effectively scale-up their business.